Winner of the esteemed Soul & Spirit Magazine Spiritual Book Gold Award for Best Psychic Book of 2018, judged by renowned international psychic medium Tony Stockwell! Winners are selected by a prestigious judging panel of spiritual and holistic well-being experts, and the magazine’s dedicated readers. The Spiritual Book Awards and branding are a globally-recognized benchmark of excellence, with votes and judging opinions coming in from all over the world. Congratulations Stuart and Dean James-Foy on this prestigious award for your debut book! This is a very comprehensive, in-depth reference book covering lots of aspects of psychic and mediumship development and awareness. The book was obviously well-researched and put together – it has an easy to follow pattern, with exercises often included at each stage. It is a great book to keep and revisit. The knowledge compiled is from the heart, rather than a researched compilation of other views. Reach out to the Other Side. For millennia, skilled mediums have been able to part the veil that separates the living from the departed, and deliver messages of comfort and advice. Now you can learn how to part the veil yourself by developing your own natural ability. 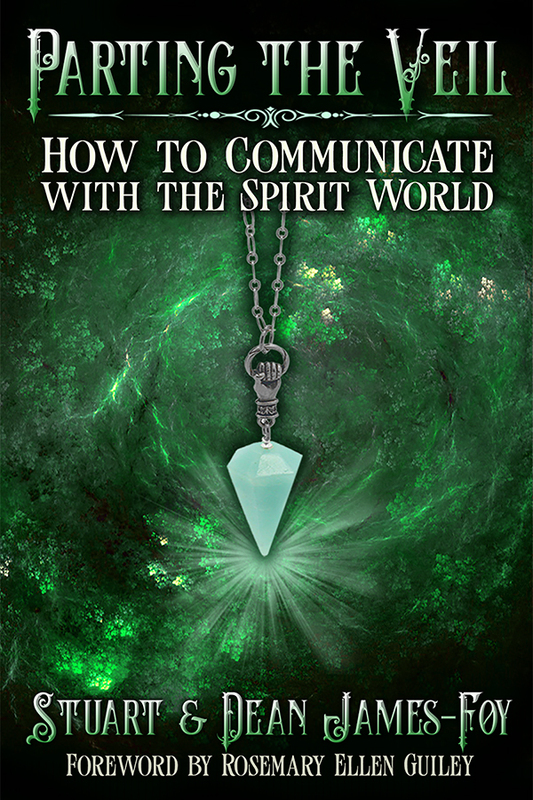 In this easy-to-follow guidebook, accomplished psychic mediums Stuart and Dean James-Foy show you how to connect with the spirit world and receive accurate, valuable information. You will learn how to sharpen your psychic ability, give readings to individuals and groups, and conduct spirit circles and séances. Read Joey Madia’s review here. Stuart and Dean on Jim Harold’s Paranormal Podcast, click here.